We are looking for combinations currently working at a variety of levels in dressage, to assist with our UK Coaching Certificate Level 3 Workshops, held at Vale View Equestrian, Old Dalby, Melton Mowbray, Leicestershire LE14 3LX. We are looking for combinations for a variety of time slots on a variety of date’s tbc closer to the time. What is UKCC? – The UK Coaching Certificate is a government recognised qualification for sport coaches. To achieve the certificate candidates have to show their ability to – Plan and link sessions, conduct safe Coaching sessions with the rider’s wants and needs at the centre of everything they do, evaluate their own coaching as well as the way of going of the horse, and use a variety of coaching styles relevant to the rider. Coach a private session, prepare a rider for competition. What to expect as a rider? Just be yourself so that we provide as genuine a situation as possible. Dress as you would attend a BD clinic. Tack must be BD legal. You will quite likely be asked what you thought of the lesson, please be honest as your feedback is very helpful to the coaches. 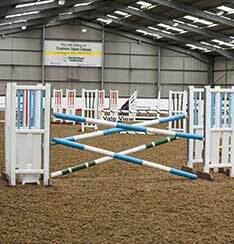 You may be required to ride in the arena at the same time as other horses and riders. If you, a friend or a client are interested in this opportunity please do get in touch. If you are not available for this date but would like the opportunity to participate in the future, please respond to this message with; your availability, the level you are working at and your BD number, as we will be happy to note your interest. We look forward to hearing from you.